In class we do a lot of discussions which are so helpful. Talking to your classmates and tutors about what is going on in the social world helps you to gain knowledge from each other. What made you choose to study in the UK and at NTU? 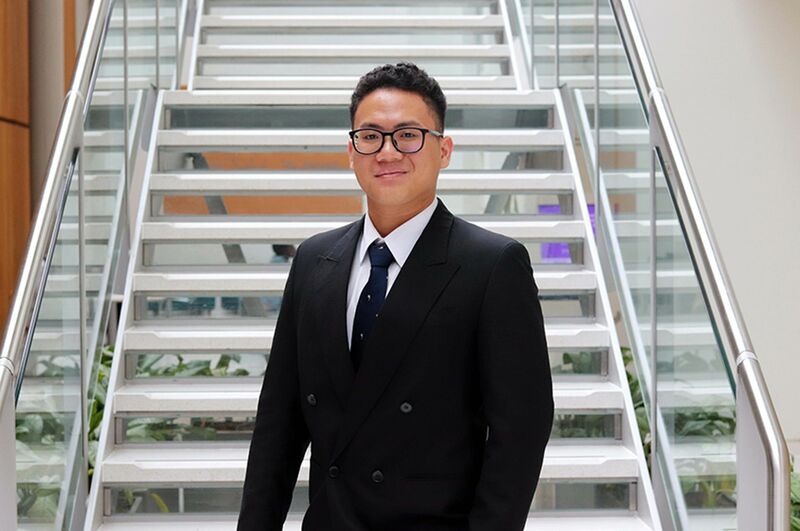 "I came to NTU on an exchange programme from Northern Arizona University. I studied Psychology here for the year and loved it. But I realised I didn’t want to waste time studying a subject I wasn’t interested in. So, I came back to NTU and have started this undergraduate course. "I am 21 and have changed my plans but I think it is the best decision I have made in my life. Fashion has always been my dream and since being here last year, I had never felt such a sense of belonging. 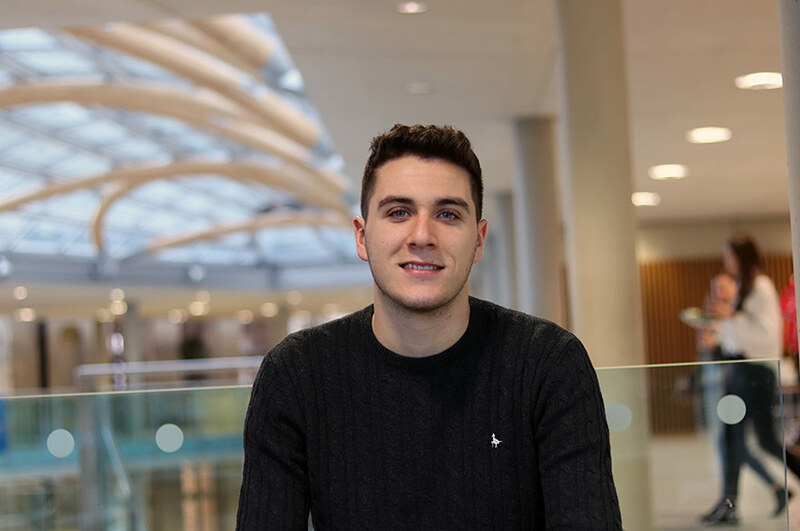 "I chose NTU because of the social side and the sense of community. This seemed so prevalent here; I have made so many friends from all over the world. There is so much to do in the city. It is so friendly and unified!" "I never thought I would be studying something like this to be honest, but it is amazing. The tutors really help me to engage with the course. It is very hands on and I have always been someone who learns best that way. In class we do a lot of discussions which are so helpful. Talking to your classmates and tutors about what is going on in the social world helps you to gain knowledge from each other. "Working on our sketchbooks provides the opposite as it is such a personal thing, and none of it is wrong, which is interesting for me to learn. Obviously Psychology wasn’t a creative based course, so I am tapping into my creativity for the first time which is exciting!" What do you think about the facilities that are available to you? "Before I started the course I didn’t realise we had our own building. It is great that we have our own space as it is helpful to be surrounded by creative, like-minded people. "We have seminars and lectures three times a week and I have 100% attendance. I love them and am always at the front – all the tutors know who I am! I just engage as much as I can which really helps my learning. We do group work and have had four different briefs so far. The groups mainly stay the same for the projects so it is a great way to get to know people on the course. "I have also become a course rep which involves talking to my peers on the course. I have to gather information from them and provide the collective feedback to tutors and course leaders. I conduct surveys and talk one to one to students to get an overall view of problems or successes that should be highlighted." 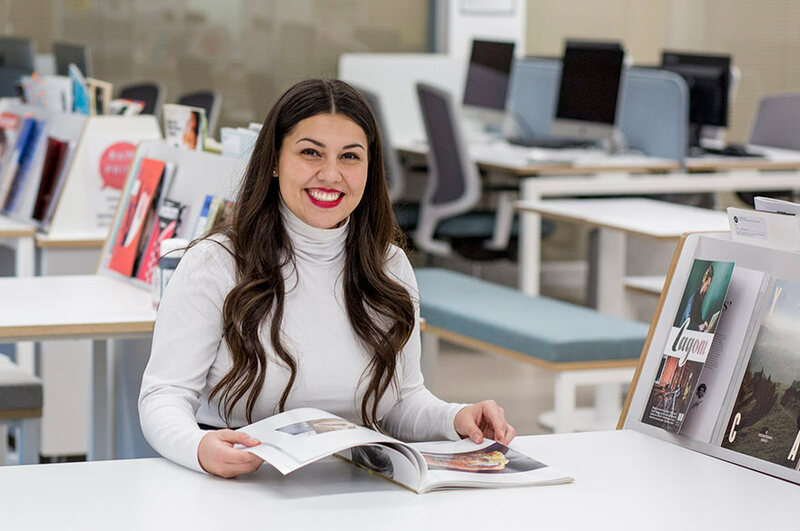 Would you recommend your course to someone looking to study BA (Hons) Fashion Communication and Promotion? "I would definitely recommend it. The course is completely set out to make sure you get the best level of education in fashion communication that you can. "Before I started, I didn’t understand what it meant and what jobs would be available. But I have learnt that there are so many things this could lead into and it is so much fun. The course is about figuring out who you are as an individual and the messages that you want to convey through your work. To be able to do that in a place like this is really awesome." How is studying here different from in your home country? How have you coped with these changes? 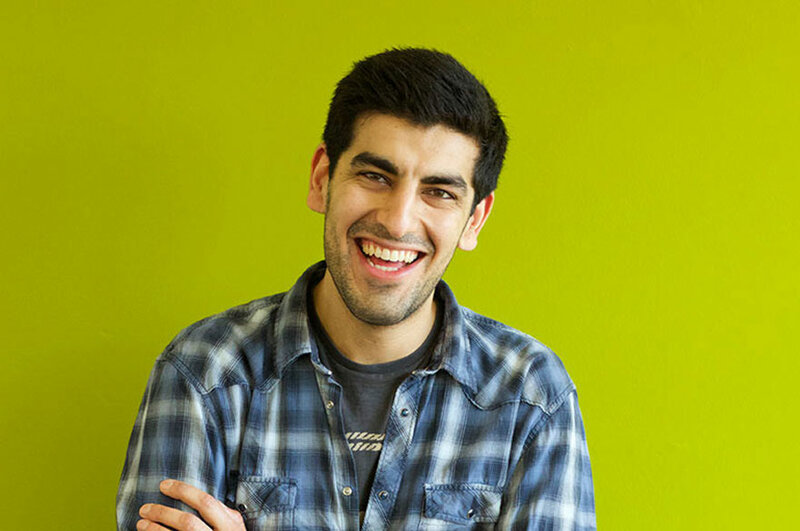 "The work that students do here is much more refined as it is usually one project or piece of coursework that decides your mark for each module, rather than being broken up with lots of smaller tests. "In the US, undergraduate degrees are four years with a foundation where the content is really generic. People here are more passionate about their subjects as, unlike the US, there is less opportunity to pick and choose random subjects. So people are doing things they love and are very engaged. "A lot of the language is different too so I have had to get used to ‘majors’ being ‘courses’ and, what I know as a ‘class’ here is a ‘module.’ When I applied I didn’t really understand what a module was. So that took some time to work out." What advice would you give an international student looking to study at NTU? "It was crazy first settling in so I feel like I have a lot of advice. I was lucky and paired up with my friend who was also coming from the States. I met her on the flight and we both used the airport pick up service. The pickup was really good, the staff wore NTU t-shirts and had signs showing us where to go. "My main piece of advice would be to do research about the city before you arrive. Make sure you know where your accommodation is in relation to the rest of the city and where you will be studying, that is really important. I had no idea how big the city was so at the beginning it took time to find out what grocery stores there were and where was good to eat out. Research will help with this as well as not being afraid to explore and find new things. You can ask anyone for help too as it is a really friendly city."